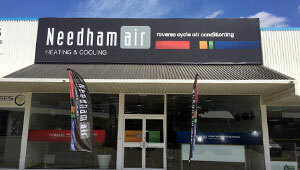 Needhamair teamed with Mitsubishi Electric air conditioners in 1994 due to Mitsubishi Electric Australia being world-leaders in reliability, quietness and energy efficiency, and proven performance in the tough Western Australian environment. Needhamair required systems to be designed to heat or cool small to medium sized applications, with the new R410A M Series range providing a versatile, yet affordable air conditioning solution. 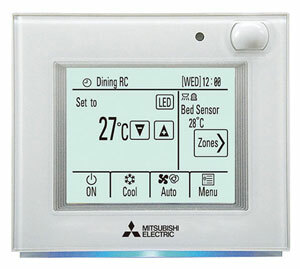 Needhamair’s choice of Mitsubishi Electric products are due to many reasons, from the ease of installation, to being one of the quietest air conditioners on the market (as low as 19dBA), as well as the newly designed and attractive airconditioner range offering the perfect way to ensure an environment that is comfortable with the minimum of disruption. Surprisingly good value for money, the efficiency of the M Series airconditioning heat pump range – don’t forget all reverse cycle systems ducted or wall mounted systems not just cool but also heat – give substantial savings in heating mode, when compared with more conventional heating systems. With additional features such as ‘Econo’ allow airflow to be precisely directed towards users, allowing set temperatures to be raised by 2oC with no loss in comfort and a 20% gain in energy efficiency – Imagine that. Adaptable enough to suit a range of applications, the M Series includes “Multihead split systems” that will run up to eight indoor units off just one outdoor unit. That includes a combination of indoor units from – wall mounted splits – floor mounted – underceiling – ceiling cassette – slim line bulkhead ducted units & even up to 7.1kw Mid static ducted units cooling or heating up to 50m2 per indoor. With pipe length and height differences far superior to a lot of one–one split systems designed to be installed back to back the new M Series is extremely versatile, providing solutions to many unique airconditioning installations. 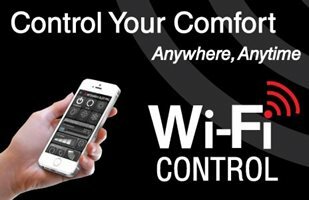 Mitsubishi Electrics range of reverse cycle ducted air conditioning systems provide the ultimate in comfort, year round for many different properties. With the largest product range to choose from MEA ducted airconditioners will fit a modernist low pitch designed home, apartments and offices with height restrictions and of course a single level pitched roof home. The compact design of this new series has a 27% height reduction and a 25% reduction in weight allowing it to be installed in more confined spaces (such as balconies) compared to the dual fan model. 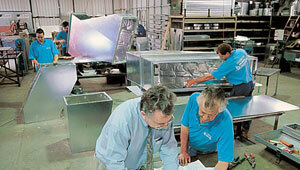 It is available in a capacity range from 10 – 15.5kw. The new Mini VRF single fan series allows up to 12 indoor units to be connected to a single outdoor unit, using the standard City Multi branch pipework systems or via branch boxes to connect Residential M Series and Commercial Mr Slim and City Multi indoor units. This makes it an economic and efficient solution for multi room applications, whilst also offering space saving benefits, making it a perfect solution of apartments, and homes where space is limited for the Outdoor Unit. 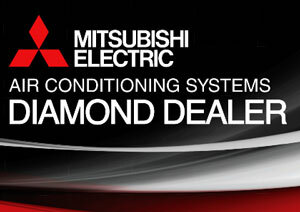 Mitsubishi Electric Diamond Dealers – The Air Conditioning Sizing Specialists!